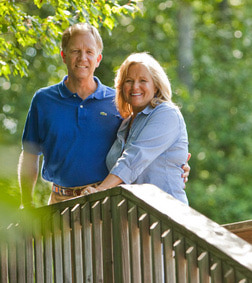 Since 2000, Karl and Shelley Alexander have been committed to making Camp Highlander the best boys and girls camp in North Carolina. Having grown up going to summer camp as children and being on staff at camps in western North Carolina, Karl and Shelley dreamed of getting back to the mountains to be in the lives of children. They share their love for camp and the passion for changing kids lives through the camp experience. Karl and Shelley raised five daughters in Baton Rouge, Louisiana, who were all campers as children, and four of the five were staff members at Camp Highlander. Karl says that the positive role models from their camping experience were integral to the women his girls are today.